As a manufacturer or a distributor you want to increase the sales of your product. By working with Chowmain to integrate your product into the ELAN home systems you get exposure to ELAN dealers in over 2000 dealers worldwide who install well over 15,000 projects per year. We are one of the market leaders in driver development and work closely with ELAN to enhance their API and also to add value for the existing dealer network through development of drivers. Having thorough documentation is extremely important. it instils confidence in the dealer, minimises technical support costs and provides the dealer insight into what they can achieve by integrating your product into ELAN. Also once we have finalised development of your ELAN driver we work with ELAN to add you to their online dealer portal. This will expose your product to over 2000 dealers worldwide. 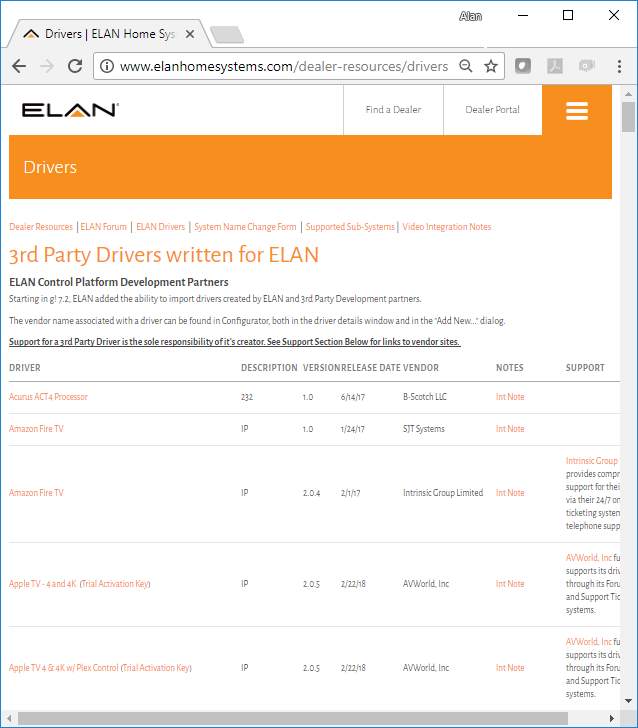 As the ELAN experts and the driver developer we are the best people to support your new driver. We offer various service contracts to suit different sized manufacturers with small, medium or large support requirements. Leave the headaches of support to our inhouse technical support team.